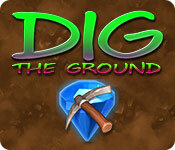 Dig The Ground is rated 3.4 out of 5 by 17. Rated 5 out of 5 by voodookitty77 from GREAT GAME This has to be one of my all-time favorite games. I am now on my third time around, and am still not tired of it. Gets more challenging as you go along, and one hint: When you get to the "atomic bomb" looking things, you have to have a match of 13 or more to get rid of them. Actually easier than it sounds. Give it a try - it's too good a game to miss! Rated 5 out of 5 by raydog from Love this game - just give it a chance! When I started to play this I had some issues about what I was supposed to do and after I figured it out - this is a fabulous game! 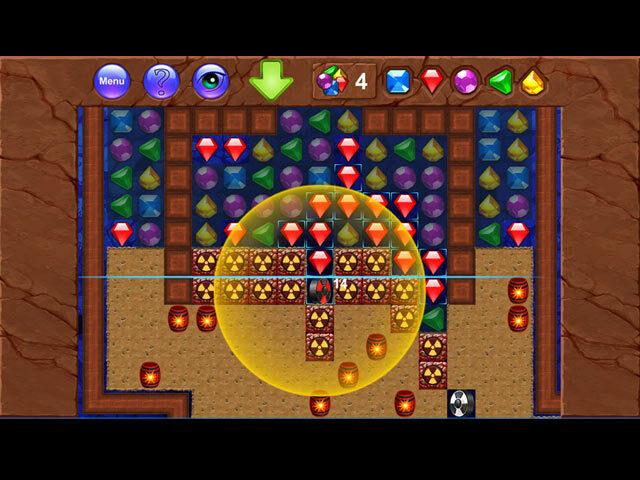 I love the chain, finding the explosives - bigger the chain -better power ups. You actually have to think about your moves - not just mindlessly blowing up stuff or you will sitting there forever and not moving down. Great game! I am so happy I bought it - without trying it for an hour. Rated 5 out of 5 by betskand62 from Really fun! I love this game. I thought it would be a standard match-3, but it's not at all; it involves quite a bit of strategy and becomes more difficulty quickly. Rated 5 out of 5 by gladysschmuck from I'm enjoying this game! As others have said - very different type of match 3. I almost didn't buy it because of initial bad review. Glad I decided to try it. Quite challenging and an enjoyable change. Best news - no demons, no colored smoke, no royalty in distress, no evil spells, no monsters, no amulets, etc. These factors alone makes this a great game for me. Rated 5 out of 5 by renatetoo from Excellent --Don't pass up trying it! This is an extremely good chain match 3. It's quite different from every other one that I've played (and I've played a lot of them, since it's one of the types of games that I really enjoy). 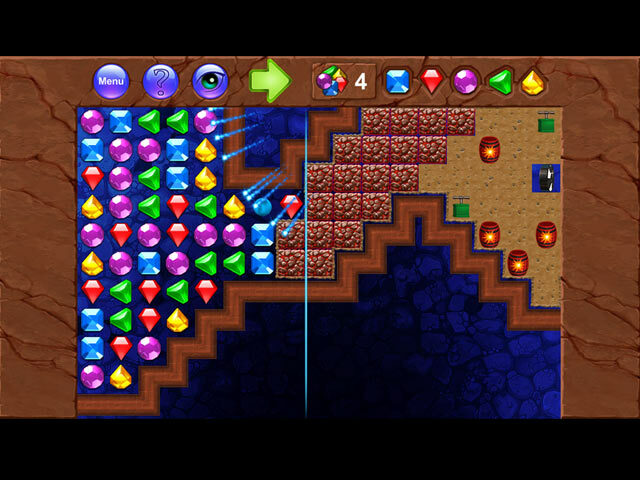 There's tons of strategy and different things to have to take care of before you complete the level. Lots of 'helper' things that are easy to get, but need thinking to deploy effectively. I especially like that when you click on a color, all the tiles with that color are highlighted. It may not seem like a big thing, but you'll see how much that makes finding the right moves fun rather than tedious, as some match-3's can be. I was surprised (and delighted) to learn that I could even eliminate only 2 of the same color, which made creating larger chains possible. Be sure to read the short instructions at the ? on top. I referred back to them often as I was strategizing, until I had them in my memory. Nothing complicated; simple and useful. The eye at the top is also an excellent feature. 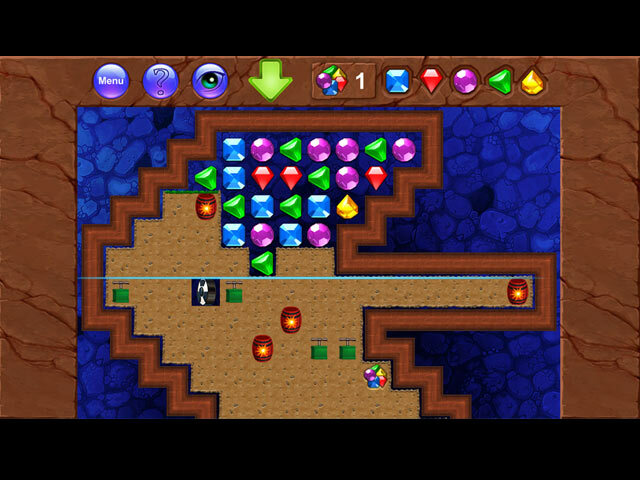 I used the first level to try things out so I could get a feel of the range of things to do. At the end of the level, I already made up my mind to purchase it. Rated 4 out of 5 by XFreak from A new way of match3 game! its unusual match3 game, i gave a thumbsup for the twist. it gave a motivation to finish the game. a 5 star if the game have a story line. Rated 3 out of 5 by drustorm from Okay Time Waster This was an okay game, with fairly simply mechanics. Make chains. The longer chains do more damage. Destroy obstacles. Get treasure. But, once you've gotten the treasure? Ah, not a thing. That was quite a let down, to do all that blasting, achieve the treasure and have it mean nothing. Even a little bit of a story, some smart-talking dwarfs, put-upon elves or frightened fairies would have made the game a little more enjoyable and worth playing. As it is, I wish there was a neutral choice of recommending. I didn't find the game engaging enough to buy, but others might.